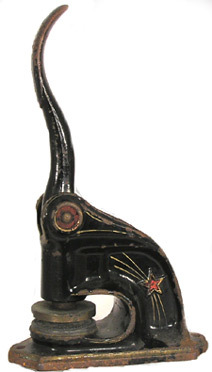 Antique Cast Iron Embossers with Monogramm (text only). An attractive antique model designed to a accommodate a 1 5/8" custom die. Shapes, sizes and finish may vary. 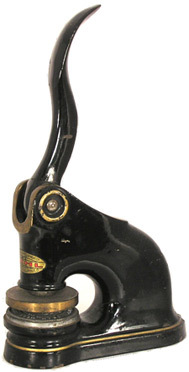 An elegant and larger antique embosser. Many have inlaid, embossed, raised, painted or fancy design. Able to accommodate up to a 2" custom die. Shapes, sizes and finish may vary. The most exquisite and rare antique embossers we can find. 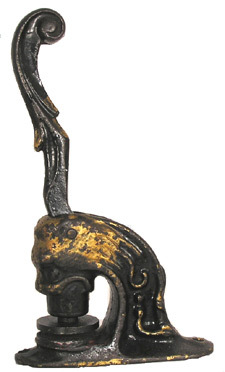 Many have the rare "Lions Head" design. Able to accommodate a 2" custom die. Shapes, sizes and finish may vary. 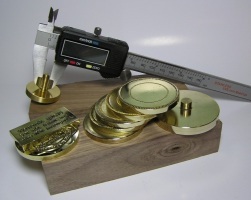 Brass dies are used for durability and the ability to hold a fine line. Because it takes much longer to make a custom brass die, we ask for two working days for production.